This book by Jason Nelson is an authentic, heartfelt account that was born from a father’s own personal journey to rescue his son from the power of addiction. It's a story of lessons learned on the road from addiction to recovery—and about those broken pomises to remain sober for one more day as addicts, who routinely give their word, let their drug of choice override their consciences, self-control, and entire lives. 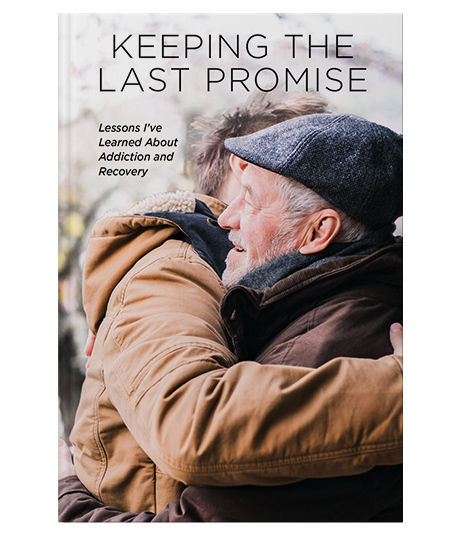 Keeping the Last Promise does more than give you firsthand insight into how to encourage someone caught in addiction. It empowers you to believe in God’s promises as you see that, even in the face of personal challenges and suffering, God is powerfully at work to bring hope and ultimate redemption. Paperback, 68 pages, 4.75" X 7"
Successfully added Keeping the Last Promise to your cart.